We have a guest today!! Miss Molly is the daughter of my dear friend. I like giving my friend hell for not attending my wedding, 13 years ago, because I know she was busy giving birth to this beauty. 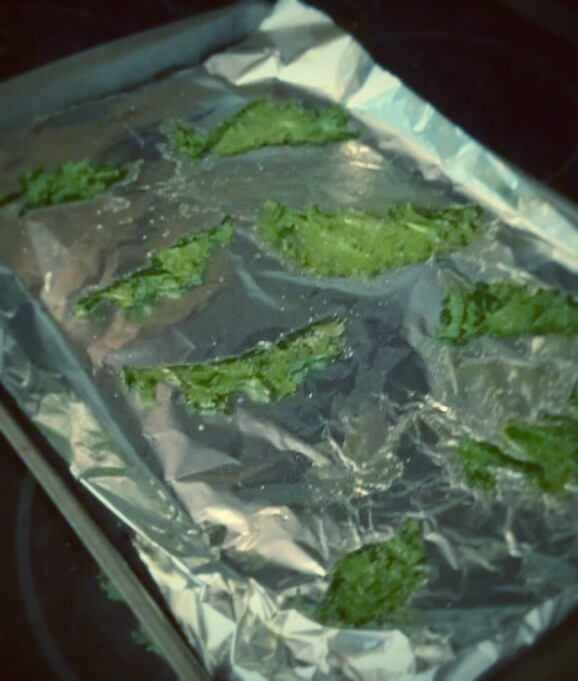 Miss Molly tried her hand at kale chips today and she did a damn fine job, if you ask me! She washed and trimmed the purple kale, removing the ribs. 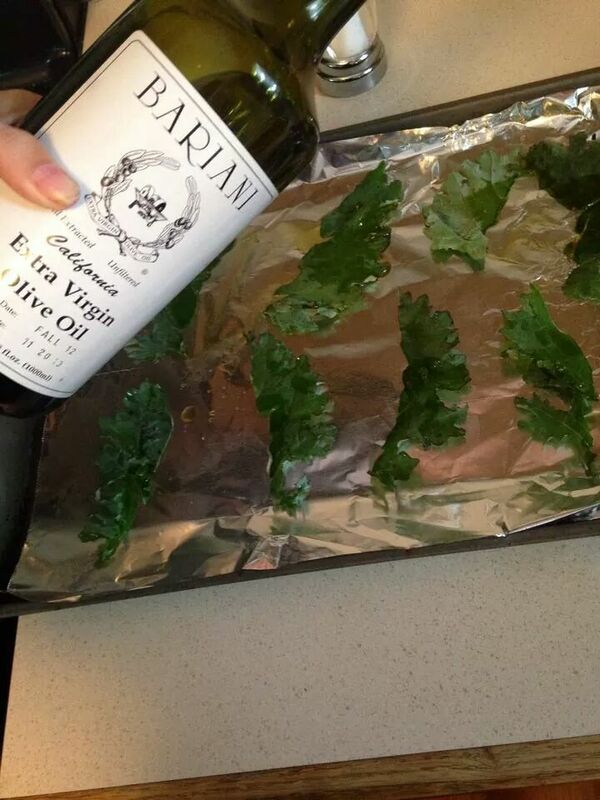 Miss Molly then drizzed olive oil all over the baking sheet. Next, she salted them. In a 275 degree preheated oven, she baked them for 5 minutes. The results? Crispy, thin, healthy chips.